Michael Kahn hand-prints his images using a process he developed over many years researching and working in the darkroom. Michael's warm toned black and white images are unique and demonstrate his expertise as a fine printer. As a lover of nature, the sea, and sailboats, Michael’s work perpetuates the beauty and majesty of our all too-fragile environment and celebrates the architecture of sailing vessels and those who preserve them. 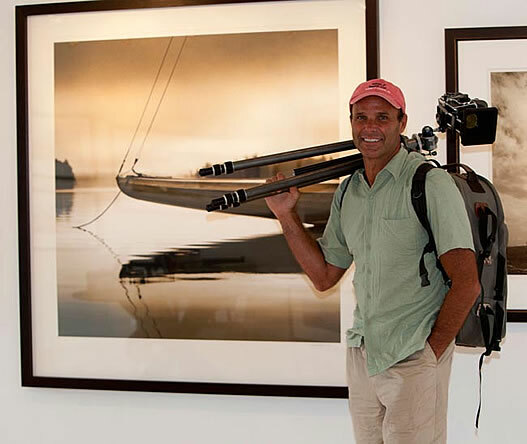 Michael has been profiled and his images showcased in prominent magazines and newspapers such as National Geographic, Coastal Living, Architectural Digest, Classic Boat, Sailing World, The New York Times, the Wall Street Journal, and ForbesLife. 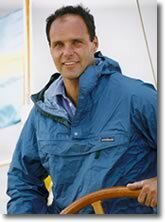 Michael Kahn’s work has been published in several books, Brandywine, through The Jarad Company, in 1990, and a collection of his classic boat photographs titled The Spirit of Sailing in 2004 with Courage Books. His images are printed on posters published by Bruce McGaw Graphics, note cards and seascape calendars by Graphique de France LTD, sailing calendars by Brown-Trout, and note cards by Mystic Seaport Museum. 2002 “Golden Age of Sail”: 8 solo exhibitions visiting galleries across the U.S. Contact Galleria Silecchia for more on the handmade photographs of American photographer, Michael Kahn.